Schadenfreude (from the German word "schaden" meaning harm and "freude" meaning joy) is a universal human flaw we must all face up to if we’re going to understand our world, argues British historian Tiffany Watt Smith in her book Schadenfreude: The Joy of Another’s Misfortune. The word "schadenfreude" comes from the German "schaden," meaning damage or harm, and "freude," meaning joy or pleasure. It's an old word with a very contemporary relevance. 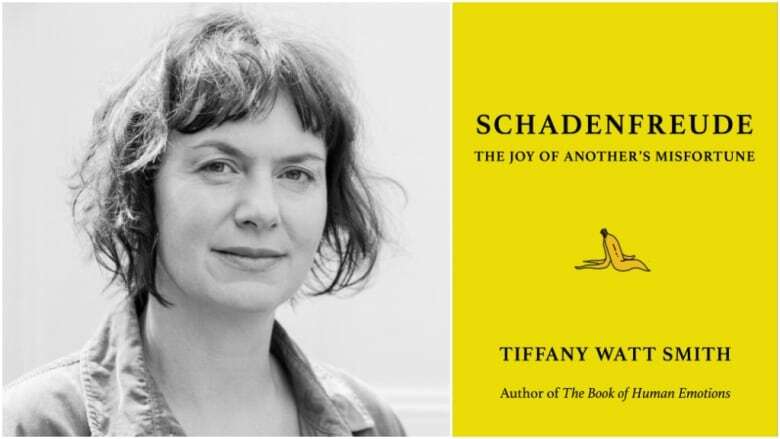 In her new book, Schadenfreude, The Joy of Another's Misfortune, Tiffany Watt Smith describes it as as an "opportunistic pleasure" and "furtive emotion," one which is "exultant, exquisite and utterly shabby." And, she argues, "it is the flaw we must face up to if we want to understand life in the modern world." These days, Canadian politics is replete with schadenfreude — one example of which is the way Prime Minister Justin Trudeau's foes are revelling in his government's current misfortunes. When we take perverse pleasure, a "tiny, guilty spasm of delight," in "the disappointments of our most successful friends," that's schadenfreude. If you dig down deep enough, you'll hit a vein of envy. Watt Smith says we reserve our most exultant schadenfreude for the famous, for being famous. Humans are often unable to look away when someone trips, or falls off a trampoline. According to Watt Smith, that serves a larger purpose than our own (uncomfortable) enjoyment. "Evolutionary psychologists have argued that this attraction to scenes of disaster has a purpose: ensuring we understand risks and how to avoid them," she said. Click 'listen' above the hear the interview.